The best business email solution. Period. 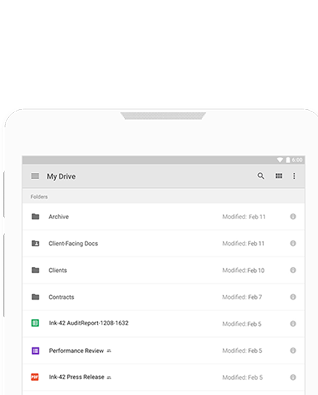 G Suite is the best email solution for businesses with world class ease of access and security, at an affordable price. Send professional email from your business web address ([email protected]) and create group mailing lists. Start with 30GB of online storage per user. Upgrade to our unlimited storage plan for an additional $5 per user per month. Use our free migration tools to import old emails from legacy systems like IBM Notes or Microsoft Exchange. If you need help, just give us a call. 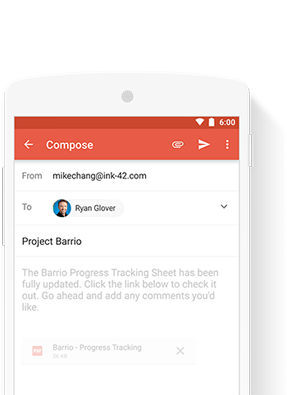 Professional, ad-free email with 30GB of inbox storage and 24/7 support. Compatible with Microsoft Outlook and other email clients. Keep all your files in one place and always have the most up-to-date version wherever you are. Automatically sync files from your desktop and have access across your devices. For new business and all other questions, comments or information please fill out the form below. We’ll get back to you as soon as possible.